Here are the Gaia messages, my thoughts in orange. This is a semi-serious game we play to decipher the levels of content from Gaia Portal. Your own thoughts are welcome in the comment section! If you get the emailed post, just reply and it will automatically appear as a comment. Resonance of Gaia upper energetics complies with required vibration for ascension. The higher vibrational levels of energies on Earth have reached what is required for full Transformation to New Earth fifth dimension. I hope this message means that those higher vibrations meet what is required to bring everyone up. Feral energetics are retrieved and cared for. A feral is one who has gone out of domestication or civilization and lives as wild. It could be those space warriors who have been recently rescued by the resistance movement (referring to things Cobra has said about rescues). It could be lower minds, even. This not well-known or understood concept is that the lower minds that we are given are not us, but separate entities. They are active and have been actively manipulated by the high levels of dark entities that were our Controllers. It could be such entities as ghosts–forms that should have dissipated, but stayed in the astral. I could sit and wonder various things all night long! What do YOU think? Movements of Celestials among Gaia inhabitants reaches into depths of all. 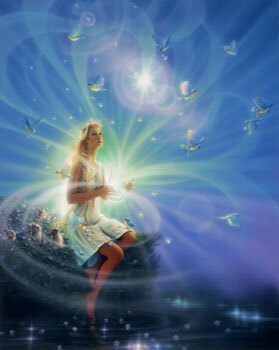 Universal celestial energies have been coming to Earth to increase our vibration through our harmonization with them. They are affecting us all, in all levels—physical, mental, spiritual. Celestial Beings like Angels moving among us are having such effects. Life is everywhere. We must not forget that all kinds of those which we view as objects, even unseen energies, are Beings. These high vibration energies and forces may all be seen as Beings, if we were to get to that level of Consciousness where we could clearly perceive and communicate with them. Resonance factors increase, to amplify effects of Higher Dimensional incomings. Higher Dimensional incomings: energies / Beings. Resonance factors: factors affecting vibratory resonance of ourselves and the rest of Earth beings. Those movements of Celestials are a huge resonance factor that is amplifying the Transformational effects of energies from higher dimensions. Storms of Light impress, on both outer and inner visibilities. We are being hit by storms of Light and have been for some time. We can see this in the skies and see/feel the internal effects on our DNA and psyches. Fortunes of Delights are inwardly realized, and accepted. “Fortunes of Delights”. What a delightful thought! Delights of Love, Freedom, Security, Abundance, Creativity, Manifestation. That is what all these energies bring us. Transformation to a New Earth of Delightful Freedom. The Helvetic Republic was an attempt by the French to create a central Swiss government as an ally. Here, it is about the Resistance Movement on the physical plane, and the Celestials on higher planes who are working to effect our Freedom. …and open causeways for Illumination of all humanity. We’ve been pitifully dulled. Channels of Illuminating communication have been opened to further awaken us to who we are, where we came from, and why we are here. Frescoes of Light appear in the unprepared and previously un-illumined. Inner Light is now contained in those who were full of darkness, negativity, enslavement, and ignorance. Patterns of ancients reappear, as corporate patterns dissolve. You understand corporate operations, their competition, centralization, spawnings. and systems of synthesis, corruption, theft and control. Patterns of ancients, one would think, would be decentralization, the natural, independence, Freedom, cooperation. Fennelics have upgraded all Gaia Energetic Expansion Portals. Fennelics are balancing factors—agents of Fire and Water, which together are radiant energy, solar energy, chemical interactions. Imbalances bring maladies and chaos, while balance brings harmony and bliss. This is preparation for our ease of expansion in 5D. Primal entities are harnessed and applied. Beings such as Fire salamanders, Earth gnomes, Air sylphs, and Water undines are being utilized in pushing us up. Collectives of Primal Entities; Angels, Faeries, and other elementals; ET (not alien to Earth); Higher Dimensional Beings; Resistance Movement groups, etc., are aligned to bring all of Mother Earth into full 5D with her. I agree with you on the assessments and comments made on these transmissions, which are sometimes very cryptic. especially with regard to helvetic and possible dismantling centers hoarding money (Swiss bank) towards a rational and equitable redistribution of wealth, the old way. but I would say that with regard to the term “fennelics” I immediately came to read it, the communication system of ants through different pheromones, one being “fennol” (in Spanish). so this phrase I interpreted to mean that all energy expansion that created the various openings of portals, has been able to reach all humans (as if we were a colony of ants), through some form of communication chemistry. precisely to ensure that it can not be intercepted and actually reaches all people, are aware of it or not. Sure, it is very understandable, Cristina, and quite interesting. The “fennol” description seemed especially apropos and a science lesson for me. Yes, I like that explanation. Thanks so much for your enjoyable contribution!